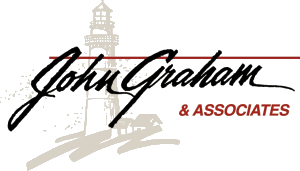 Seminars : John Graham & Associates, Inc.
Drop in for a JGA Tech Tuesday! It’s your money. Why not visit it whenever you want through your Online Brokerage Account? With an Online Brokerage Account, you can access your JGA account virtually anywhere. With smartphones and tablets putting the power of the web in your hands, it can get overwhelming to figure out how it all works. That’s why we are hosting Tech Tuesdays to bring you one-on-one assistance in setting up and accessing your Online Brokerage Account. Whether you are a technology novice or expert, our team can answer your questions and help you feel confident in your ability to check in on your accounts whenever you want. Just be sure to bring your preferred personal device(s) so you can take home what you learned! If you have questions about Tech Tuesdays or want to let us know you are coming, call the team at (309) 699-6608. When: Tuesday, May 21, 2019 - 3 to 4 p.m.